I’ve got a theory, and this theory, which is mine, is that everybody wants to be a rock ’n’ roll drummer. There’s just something irresistible about the idea of pounding away on a resonating circle until you’re sweaty and drained and then having people cheer you for it. Take my next-door neighbour Bob, for instance. A few weeks ago he rented a set of black Pearl drums, and now you can hear him and his roommates over there making like they’re on the warpath. 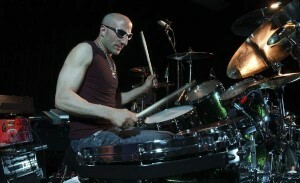 Kenny Aronoff, one of the most recognized rock drummers in the world and currently touring with Melissa Etheridge, thinks it’s great when people take up drums, no matter what age they are. Bob’ll be 47 in March. Aronoff—who takes part in the Vancouver International Drum Festival’s master-performance concert this Sunday (November 28) at the Vogue Theatre—wasn’t afraid to go for it either. When he was 10, he started his first band, and before long his feisty drum sound was being heard everywhere on tunes by John Cougar, John Cougar Mellencamp, and plain old John Mellencamp. 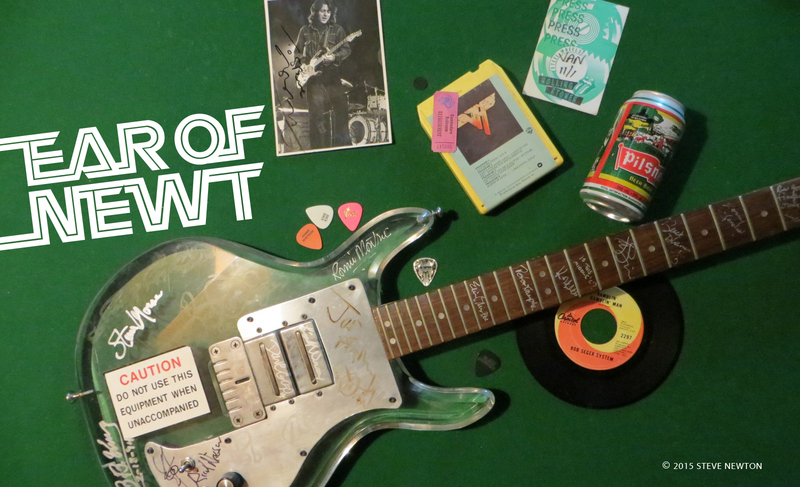 He played with the Indiana roots-rocker for more than 20 years, and his distinctive whump! can be heard on all of his big hits. Although Aronoff’s session and tour credits include work with Bob Seger, Elton John, Bob Dylan, Bonnie Raitt, Neil Diamond, and John Fogerty, he veered somewhat away from traditional rock when he joined the grunge-spawned Smashing Pumpkins for a tour last year. But he says he didn’t have to make a big adjustment to his playing style to fit in with Billy Corgan and company’s alt-rock leanings. Thanks to the proliferation of music videos, Aronoff is one of the drum world’s most recognizable characters, with his closely shaved head, intense facial expressions, and muscular limbs flailing about. He’s played so hard that he’s bruised bones, and had drumsticks break and hit him, almost taking out an eye. So what’s going though his mind when he’s in the throes of such action? Although he’s backed the elite of late-20th-century rockers, there are a few gigs Aronoff still yearns for, like playing drums in The Who. And he still wishes he’d had the opportunity to hammer out a backbeat for Jimi Hendrix, posters of whom covered the walls of Aronoff’s bedroom when he was 13. Jimi Hendrix Experience drummer Mitch Mitchell was far and away his favourite skin basher when he was a kid, but when you ask Aronoff to pinpoint his fave of today, there’s no easy answer.